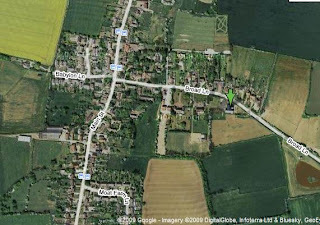 We are a Wargames club based in the village of Bishampton a few miles outside of Evesham Worcestershire. We draw our membership from Worcester, Redditch, Tewkesbury, Cheltenham and surrounding areas. Founded in 2006, we changed our name from the “Evesham Wargames Club” to better reflect the catchment area and diverse membership. Together with a number of all day games spread over the year. Don’t be put off by the rural location, it more than made up for by the facilities available, We are only a short car journey away. The club is very friendly and welcoming and we are always excited by new systems and ideas for games. You’ll often find a campaign running for something or club members trying out new periods. If you think you might be interested in joining the Club, why not come along and visit us one Sunday evening. There is no obligation to join, but you will be made welcome. From Worcester or Pershore – Take the A44 to Evesham, take the Throckmorton Road on the left and carry on following the signs for Bishampton. Once in the village keep going then take the right hand turn into Broad Lane, the Village Hall is the last building on the right hand side. From Evesham – Take the A44, turning right onto Fladbury Hill just after the golf club. Carry on up Hill Furze Road until you meet Broad Lane and turn left. The Village Hall is the first building on the left.